Disclosure: I received a complimentary HomeDNA Collection Kit to review. Regardless, this review reflects my honest experience and opinion of using the product. This post contains affiliate links. 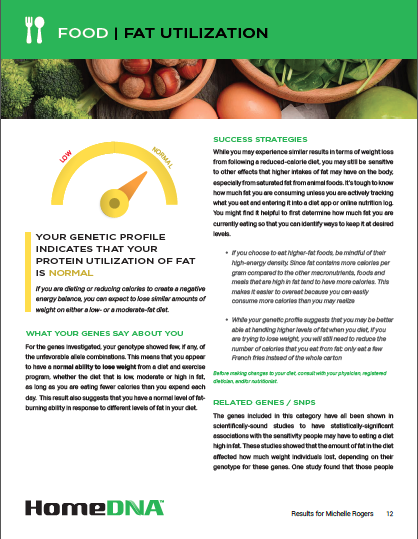 Could your DNA be a clue in helping you learn about what foods, exercise and weight loss strategies might work best for you? It’s a question that’s intrigued me, with genetic testing emerging in the fitness and weight loss industry. 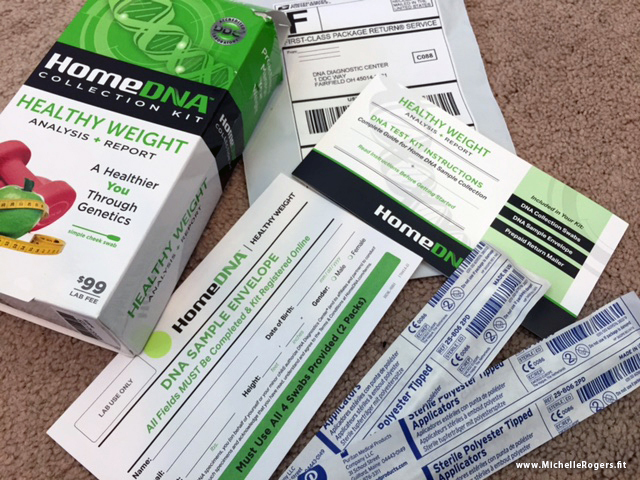 So when I had the opportunity to review the “HomeDNA Collection Kit Healthy Weight Analysis and Report” and get myself tested, I jumped at the chance to satisfy my curiosity and try it out. Here’s exactly what’s involved with the testing process, and what I found out through the resulting report. First of all, the HomeDNA collection kit is NOT a blood or urine test. It uses a cheek swab to collect your genetic sample. To get started, first you visit the HomeDNA website and place an order for the kit. You’ll register your kit on the HomeDNA site so that the barcode on the sample envelope is matched to you. This was quick and easy. Then, simply follow the directions and use the enclosed four cheek swabs (like long Q-tips) for 30 seconds each, and then place them in the provided envelope. Then, you put that in the postage-paid return envelope and mail it. That’s literally all there was to it. In a few weeks, my test results were ready. To receive your results, you log in to your HomeDNA account and download a pdf of the report. The report includes testing data, charts, graphs and insight that are specific to your DNA signature. The report was attractively laid out, and longer than I was expecting — 72 pages! Not all of this is data, however. 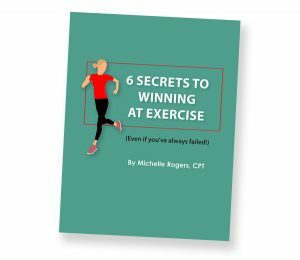 There is a lot of information explaining various things, along with suggested strategies for dieting, exercise and weight loss. It also included suggested meal plans and an exercise plan. At the end are several pages of links to cited studies. Four areas are analyzed: Weight Loss Ability, Food, Nutrients and Response to Exercise. Here are a few key takeaways from my report. Under “Weight Loss Ability,” it said I was rated “below average.” I’m not doubting that, as I’d struggled my whole life to lose weight. Of course, as you know, I overcame that and went on to lasting success. But yeah, I didn’t inherit the proverbial skinny gene by any means, a fact I was painfully aware of since childhood. Under “Nutrients,” it rated me as “low” on Vitamin A and B12 Tendency, and “below average” on Vitamin B6 Tendency. Note that this doesn’t mean that I am low (only way to know that would be through a blood test from a physician), just that I apparently have a genetic predisposition to be. Under “Exercise”, it rated me as “low” on Fat Loss Response to Cardio and “below average” on Fitness Response To Cardio. 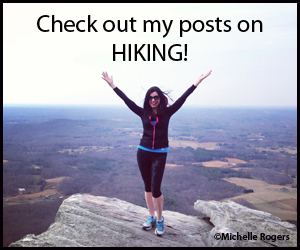 That was interesting to me, because cardio has been a huge part of my weight loss and fitness success. And my experience is that I respond great to it, despite genetics. It also said my HDL Response to Cardio and Insulin Sensitivity Response to Cardio are both “enhanced” (favorable). I won’t go into the details of all 72 pages, but it’s information similar to this, broken down for each of the areas that they tested for, along with suggestions. It’s quite comprehensive. On the HomeDNA site, you can download a sample full report if you’d like to see exactly what it includes. The value in a report like this lies in the information and how you choose to use it. Knowing that I have a genetic predisposition to be low in certain vitamins, for example, has me thinking that it would be a good idea to ask my doctor to test me. That wasn’t really on my radar before the report. 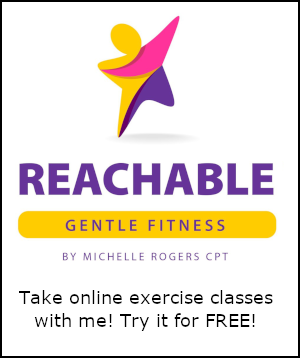 And most importantly, please know that even if, like me, you don’t have “favorable” genes for weight loss it doesn’t mean that you can’t succeed! If you’re willing to persevere, you most certainly can! 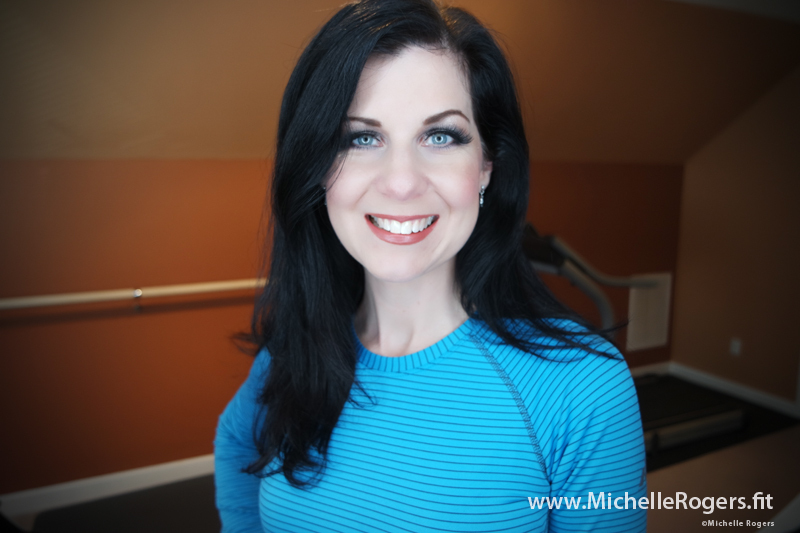 As a certified personal trainer and weight loss coach, I specialize in helping women lose weight and get in shape with a customized plan tailored just for you. I work with ladies in person locally, and online. If I can assist you in your weight loss journey, please contact me. You don’t have to go it alone!